Karl Krause was a prolific builder and aggressive marketer. 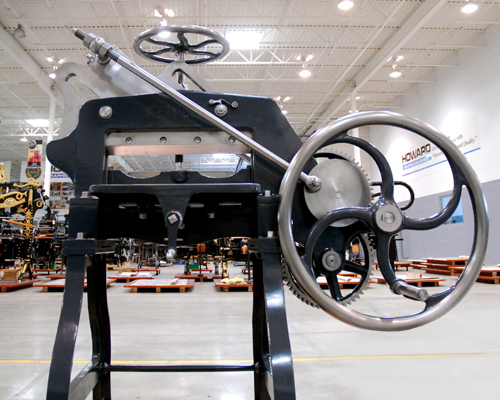 From his first plant in Leipzig, Germany, Krause manufactured hundreds of different machines, mostly for the bookbinding and paper cutting industry. As far away as America, Krause was establishing roots when no German would have strayed from home. Karl Krause formed his business in 1855. 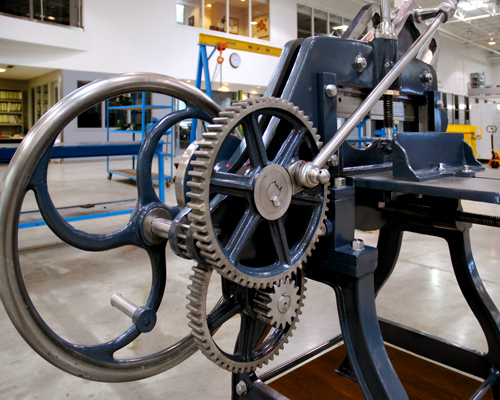 Everything, from shears to cornering, calendering, arming and embossing machines, were made. 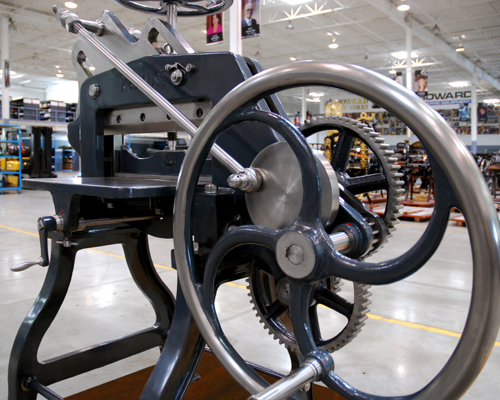 Even stone lithographic presses became popular. Our machine is a mystery though as it bears no nameplate or serial number. Furthermore, the inscribed name “K.Krause” has not been found anywhere so far. We still search the world to find not only this inscribed name but also an identical nomenclature. 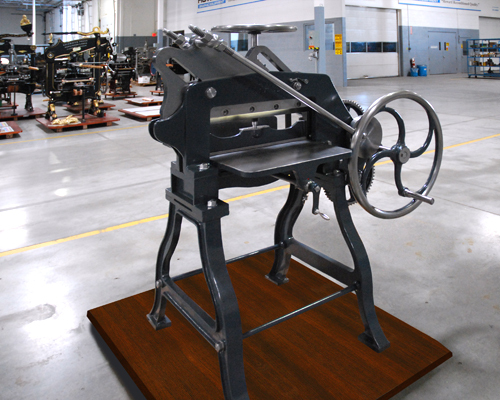 A clever cutter design considering many hand operated guillotines used a cheaper lever, the Krause is a proud member of our museum. The history of Krause is very colorful and full of intrigue. In 1949, the Krause decendents (his son-in-law Biagosch) fled Germany from the Soviets as the original Krause works were seized by the Soviets. They settled in Bielefeld, West Germany, and arranged for the Wohlenberg firm- famous for its lathes - to begin manufacture of the Krause line. Hence for many years, the guillotines were known as Krause-Wohlenberg. 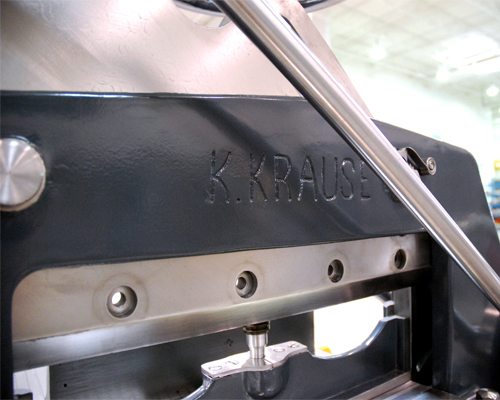 Krause exists today - very successful in pre-press equipment.